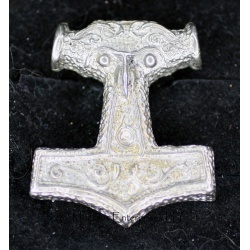 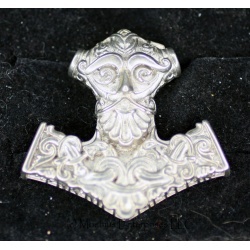 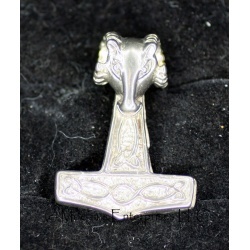 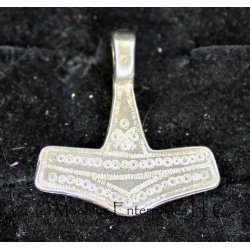 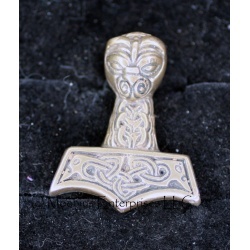 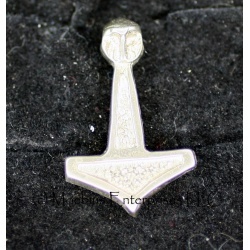 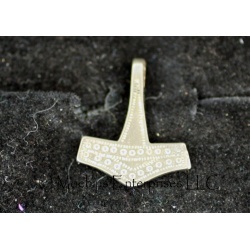 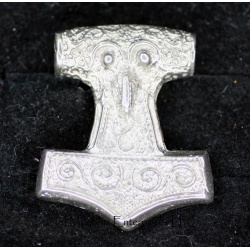 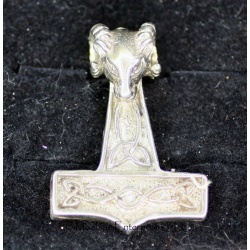 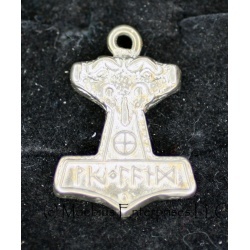 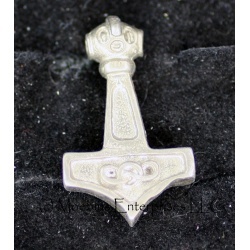 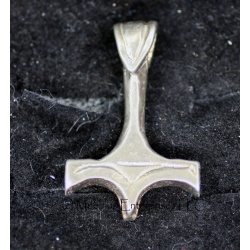 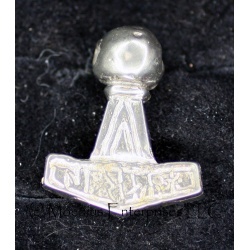 This beautiful commemorative hammer was cast in honor of Sveinbjorn Beintiensson. 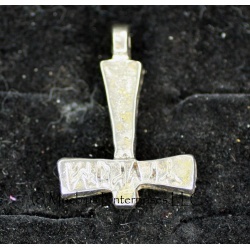 It is a contemporary design featuring the Tyr rune of the Asatru Alliance, and "AlThing" spelled in runes above a small sunwheel. 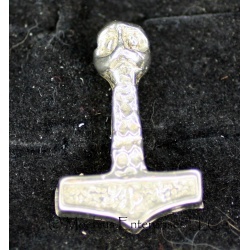 1 1/8 inches long. 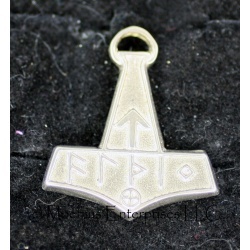 Just slightly smaller than the H105, but this one is fully double sided in all detail. 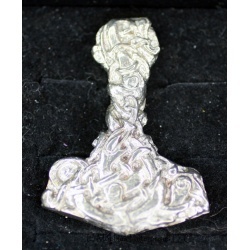 1 5/8 inchest long. 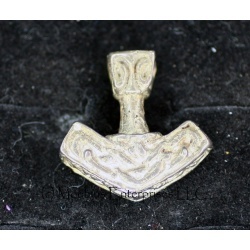 Swedish museum replica, 1 3/4 inch long. 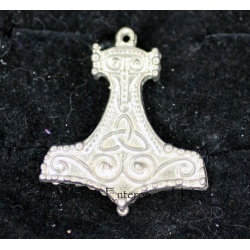 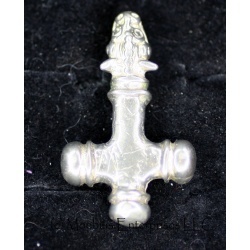 This is a large, thick, heavy hammer wrought in excellent detail.